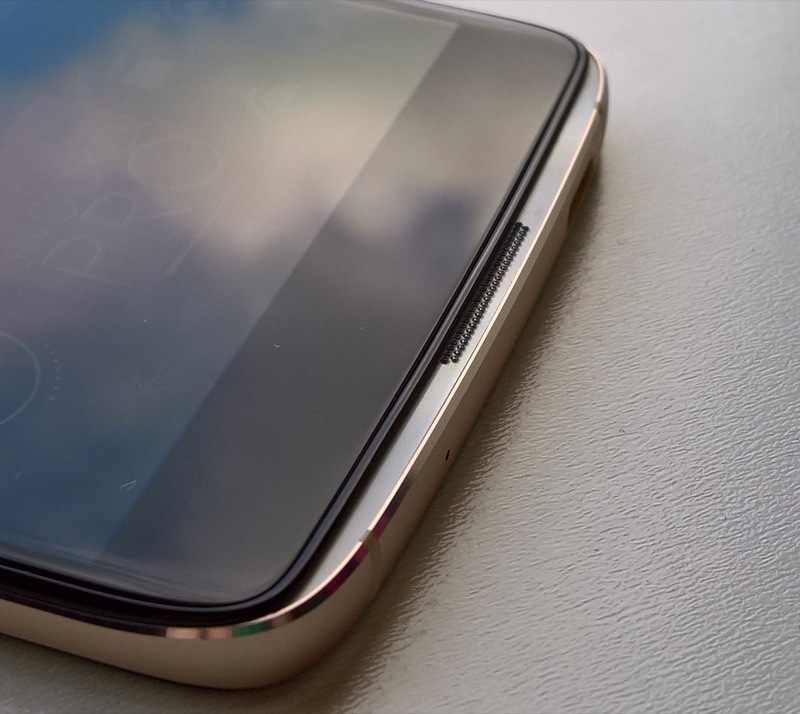 In part 1 of this review, I looked at the IDOL 4 Pro's hardware, in part 2 I looked at still imaging, and in this, part 3, I look at video capture within the phone's camera, along with audio recording quality and multimedia playback. The latter featuring the monster stereo speakers, of course, and amazing headphone output too. We finished part 2 of this Alcatel IDOL 4 Pro review by concluding that the 1/2.4"-sensored stills camera was pretty good, if not ground breaking, with an understandable weakness in low light due to the relatively small aperture (f/2.2) and lack of OIS. Things improve slightly for video because the Snapdragon 820's ISP can be gainfully employed to do frame analysis in real time, allowing for digital video stabilisation and also for PureView-style zooming (and beyond) if you shoot in anything other than 4K. All of this will be demonstrated below, don't worry. As already ranted, there's a worry over the relatively low volume of stereo audio capture when shooting video though - it seems that this is an issue in Windows 10 Camera for the chipset here and that we need to wait for an update. In the meantime, just be aware that the audio commentary in all clips below has been boosted by 300% at the editing stage by me. As a by product, you'll also get more digital audio noise/hiss, though. Obviously, I'll report back if an update improves this! Possibly one by product of the audio capture settings used, along with the obvious use of quality microphones, is that genuine gig-level audio can be captured, i.e. use the IDOL 4 Pro to shoot some video at a concert and the audio will be crystal clear and with no disortion. We're used to this on the Lumias too, of course, but it's certainly not taken for granted in the wider smartphone world. Overall picture quality isn't bad - not up to the best Lumias of the past, but good enough for a non-imaging-centric phone like this. See what you think in the compendium of clips below - maximise your playback window and make sure YouTube's 'quality' is set to 1080p for best results. And remember that the video has also been processed by YouTube's own codecs, so original footage will be slightly better than what you're seeing here on the page. Now, in theory the IDOL 4 Pro can record at 4K resolution, but it's really not recommended - with no OIS to fall back on, this higher resolution video mode is strictly for snatching 8MP frames from quick bursts of action video. 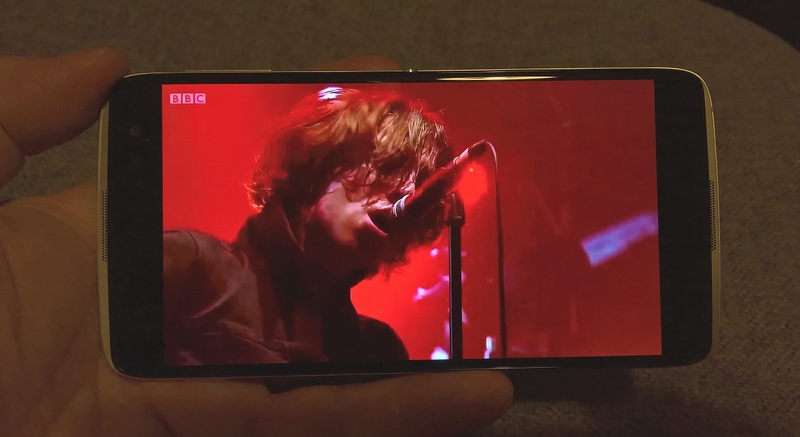 Actually watching (handheld) footage is painful and, as demonstrated above, filming in 1080p enables the use of digital stabilisation and then things are vastly better - and you get a genuine zoom facility, just as you would on the likes of the Lumia 930, 1520 or 950 range. Just as on the Microsoft Lumias, Windows 10 Photos includes the video editing essentials - so saving photos from video footage, creating slow motion sections after-the-fact, and trimming footage down. Other mobile OS sometimes require third party software to do this, so it's god to have it all built in. With that slight audio caveat, I have few complaints overall about video capture on the Alcatel IDOL 4 Pro - it's absolutely fine for typical 'home movie' style ad-hoc capture. One of the strong points of Nokia and then Microsoft's top end Lumias in this ecosystem has been high quality stereo audio capture, with microphones that don't overload when faced with rock gig-level volume. And, while I still have concerns that overall capture level is a bit too quiet on the IDOl 4 Pro, there's no question that resilient microphones have been used - I tested the IDOL 4 Pro with several live music (guitar/bass/drums) set-ups and there was zero distortion. If the embedding doesn't work for you, then the WAV file is also here. Which won't mean much to anyone, other than to say that there are dedicated DACs and power amps, allowing for the speaker volumes mentioned below and, just as importantly, allowing for loud and hi-fi headphone output. 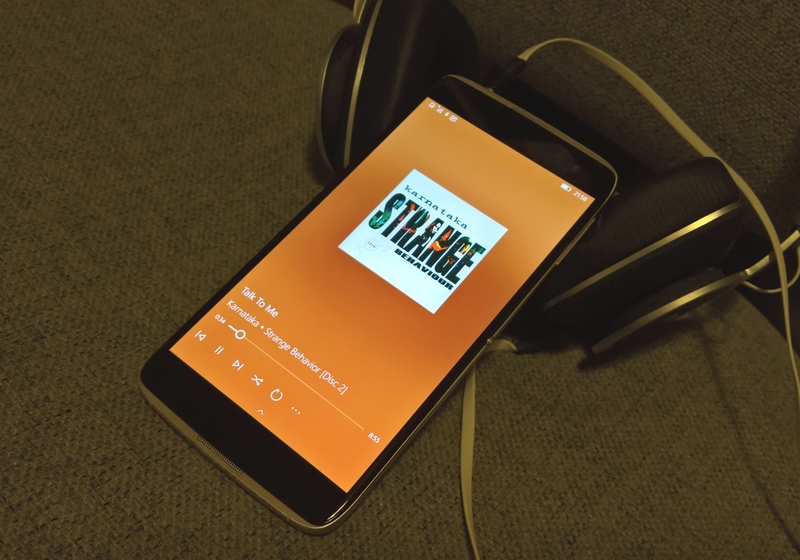 I've been reviewing this side of things with several sets of studio headphones, each of which was driven well (my ears couldn't stand the volume with the phone cranked right up), but the IDOL 4 Pro also comes with (i.e. 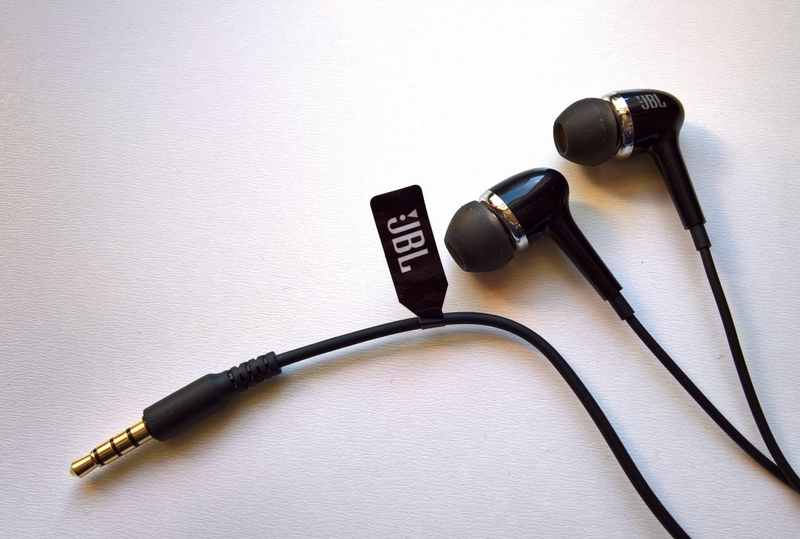 in the box) a set of in-ear JBL headphones. Don't expect too much from these, they look and sound as if they cost £20 or so (crisp enough but no real bass), but it's still nice to have them included - most smartphones in 2017 don't come with anything. those who want to do away with the jack and go Bluetooth (or have to use various adapters and dongles). those who insist (correctly, in my view) that having wired audio is always potentially superior to wireless, that having another gadget to charge is a bad thing, that dongles are a pain, and that you shouldn't have to decide between listening over headphones OR charging your phone. To me it's utterly clear and I'm amazed by the companies (Apple, HTC) which have gone down the former route and completely ignored user complaints - in many cases, users have decided to stick with older models rather than have to change the way they've been listening to audio for the last three decades. 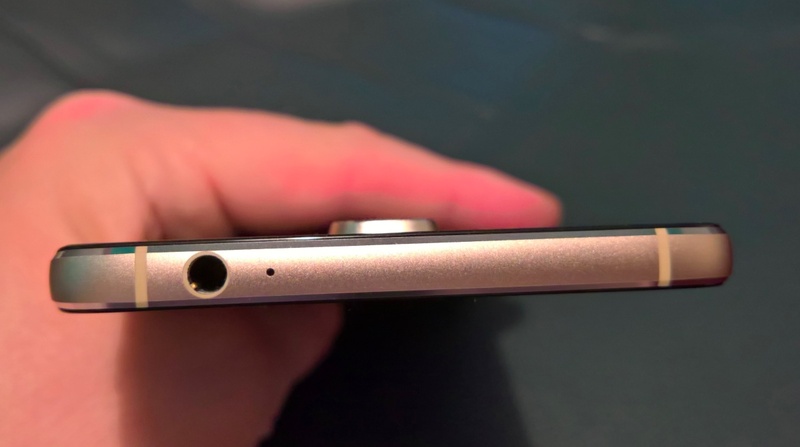 Anyway, the IDOL 4 Pro has the headphone jack, of course, and it spits out high volume, high quality audio, rivalling the best I've heard on a Windows Phone, though the Nokia/Microsoft Lumias are also excellent in this regard of course, so the bar is high across the board! The usual Windows 10 Mobile 'Films & TV' application handles most duties here in terms of playing back local videos (both captured and side loaded from a Windows PC or via microSD), though I've now supplemented it with VLC UWP, a free third party player, which includes memory of where you 'got to' in each video - this helps enormously when working your way through some saved documentaries and films. It's odd that Microsoft hasn't included this basic facility into their default player. Then there are the usual streaming video sources - myTube! (for YouTube, other clients are available! ), Netflix, and BBC iPlayer (now via Edge, but it works perfectly). Put the decent video capture together with the facility to record audio at any volume, plus the super video/audio playback of local or cloud-hosted media and, for the first time, Windows on a phone is almost class-leading when it comes to consuming content as well as creating it. Yes, niceties like lack of Glance screen and lack of OIS in the camera take away some of the shine from the IDOL 4 Pro, but not enough to stop me being impressed overall. I'll return to all this in more depth in a future review part here on AAWP.